One of the greatest games ever for $3! I’m not sure if y’all are aware of my love for Hardwar, the futuristic flying, trading and combat game that takes place on Titan, but even though the ships aren’t necessarily in space, I count it among my favorite of spacey games. 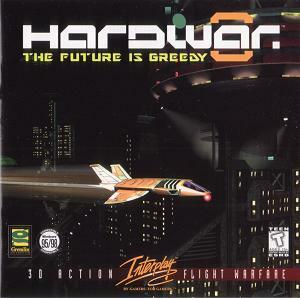 Hardwar On Sale at DotEmu for Cheap!!! Purchased! Thanks for letting me know of the sale. Looking forward to sinking some time into this. For those interested in other space-type games, Precursors at Gamersgate is on-sale for $7.49. Read up on whether it's your type of game though. Always happy to help! :) Enjoy! I was surprised when I first saw Hardwar on DotEmu (and not on GoG). I was even more surprised when a few months ago I found I still had the original disks. Sadly, I've never played the game. Shameful, isn't it? What the WHAT?! Correct this grievous error right now!